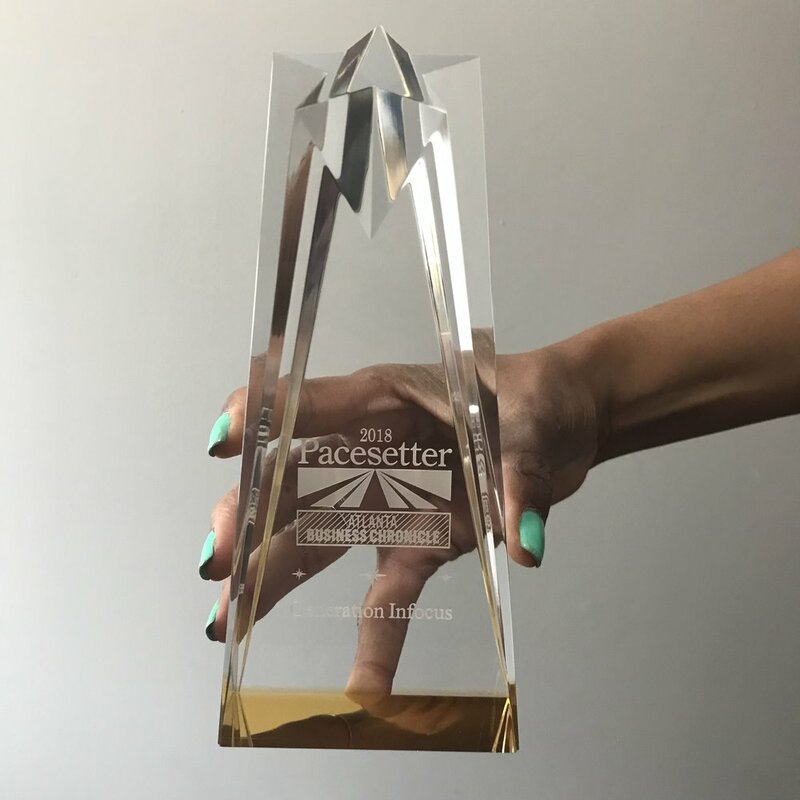 Generation Infocus receives 2018 Pacesetter Award! We are so honored to receive a 2018 Pacesetter Award from the Atlanta Business Chronicle. The Pacesetter Award is an honor given to an exclusive list of Atlanta’s fastest-growing companies. The awards represent the most comprehensive look at private business growth within the metro area. Qualifying companies are ranked by a weighted growth index formula, factoring both employee growth and revenue growth, to create a level playing field amongst businesses of various sizes. The winners were honored April 26 at the Georgia Aquarium. Older PostSpring Maker's Faires are around the corner!